The controller that establishes purposes and measures of your data management is UAB Click2Sell (legal entity code 300110581, registered address Saulėtekio al. 15, LT-10224, Vilnius, Lithuania, telephone +370 6444 6667). By providing our clients that are legal entities with payment and/or other related services and by concluding contracts with them for this purpose, we manage the following personal data of our clients’ representatives and beneficiaries: first name, surname, age, date of birth, personal identification number, data of identification document, workplace, position, e-mail address, place of residence (address), telephone number. We obtain these data directly from the data subject, client or the centre of registers. We manage the data on the grounds for performance of obligations of performance of contract as well as the ones laid down in the legislation (including prevention of money laundering). We store the data for 10 years from the day of expiry of transactions or business relationships with the client. We provide the data to banks and other recipients indicated in the present policy. For the purpose of authorization of payment operations performed with payment cards we manage the name, surname of holders of payment cards, payment card number, payment card verification value (CVV), validity date of payment card. We receive data directly from data subject and from legal entities (traders) of our clients, for the goods or services of which pays the holder of the card. We manage data on the grounds of performance of obligations of the contract and the ones laid down in the legislation. We store the data for 10 years from the day of expiry of transactions or business relationships with the client. We provide the data to banks and other recipients indicated in the present policy. If in accordance with an advertisement published on our website or on a specialized website intended for selection of employees and search for employments, you have sent your CV (curriculum vitae), motivational letter, recommendations and/or other documents or data, your voluntarily submitted and other following personal data will be managed for the purpose of selection of candidates for job positions. We will manage your data for the purpose of the selection until we decide to employ a particular candidate, their probationary period expires or we decide to finish the selection without choosing any candidate. This period most often does not last more than four months. We will manage your personal data on the grounds of your agreement to participate in the selection. We may also perform certain actions when performing the obligations laid down in the legislation. The submission of your personal data in order to participate in the selection is voluntary; however, if you do not submit your data, we will not be able to assess the appropriateness of your candidature. We would like to inform you that by enjoying the right granted by the legislation regulating personal data protection, your previous employers may be contacted and asked for opinion on your qualification, professional skills and business characteristics. However, your current employer will not be contacted without a clearly expressed consent provided in advance. If you have submitted an appeal or a request by e-mail, in writing or in another manner, your voluntarily submitted data will be managed for the purpose of administration of the appeal or the request. If your submitted appeal or claim will be related with potential dispute, possible damage, etc., also, if during the performance of the order any contractual relationships shall arise, your personal data may be stored for the maximum period of 10 years. If the personal data related with the appeal or the claim will not be related with a possible dispute, they will be deleted within the period of 1 year. Management of your personal data will be based on your express of free will, i.e. your consent to provide your personal data, however, in certain cases (for example, in a case of a possibility of a dispute or in its case) the legislation may become the grounds for further storage of the dispute.  The grounds for your personal data management for this purpose is the express of your free will to carry out communication by e-mail and to provide certain data therein, i.e. consent. Besides, the grounds for data management may also be the performance of contract and the performance of obligations provided in the legislation. Your e-mail address, contents of correspondence and related data will be managed in accordance with the principle of proportionality. These data will firstly be visible to the person, with whom you will directly communicate by e-mail. However, in certain cases your correspondence may be read by other employees, for example, in situations of internal administration, investigation of possible violations of legislation or internal regulations, replacement of employee and for related purposes and in similar situations. Cookie is a small file made of letters and number that is recorded in your browser or hard-disk drive. For different purposes, different cookies are used. Cookies also help to distinguish you from other Internet website users, therefore ensure more pleasant experience of Internet website use and allow improving Internet website. The majority of browsers allow rejecting all cookies and certain browsers provide the possibility to reject only cookies of third parties. So, you can use these possibilities. But please pay attention to the fact that blocking of all cookies will have negative effect on the use of the Internet website and without cookies you will not be able to use all services provided in the Internet website. functional cookies. These cookies are used to recognize Internet website visitors when they return to the Internet website. This allows providing the content adapted to the needs of website’s visitors in social medias, to remember the information relevant to the clients. The grounds for management of data collected by these cookies is the consent provided by clients. The majority of browsers are set to accept cookies automatically. Having information on how and what for they are used, you may decide, whether to keep cookies or turn them off in the browser. The majority of browsers allow you to control cookies and their settings. If you do not want to accept cookies, in your browser you may choose the option to do not accept all cookies or to send a warning when a cookie is created. For more information on how to control cookies, please visit the website: http://www.allaboutcookies.org/manage-cookies/. We would like to warn you that if you reject cookies, you may lose the ability to use certain functions. If you do not want cookies, you may set your browser to reject all cookies or to send a warning when a cookie is created. For the purpose of conclusion and performance of contracts, we will manage your data that you will submit at the moment of conclusion of the contract, also those data that we will receive while you perform the contract. If you do not submit your personal data, we will not be able to identify you and conclude a contract with you. The grounds for your personal data management for this purpose is the performance of the contract or actions carried out at your request before the conclusion of the contract. The grounds for actions of certain personal data management may also be the performance of obligations laid down in the legislation, for example, in order to perform the obligations indicated in the legislation regulating the payment of taxes. We will store your personal data for no longer than 10 years from the expiry of the contract concluded with you. potential or current successors of our business or its part or their authorized consultants or persons. What principles of personal data protection do we follow? Your personal data are managed in a way that in applying respective technical and organizational means, the appropriate safety of personal data is ensured, including the protection against the data management without permission or illegal data management and from accidental loss, destruction or damage (principle of integrity and confidentiality). We would like to inform you that you have the following rights of a data subject: the right to be introduced with your data and their management; the right to require fixing or, with regard to objectives of personal data management, supplement incomplete personal data; the right to ask to destroy your personal data or suspend actions of your data management (except for storage); the right to ask to limit the personal data management; the right to transfer data; the right to submit an appeal to the State Data Protection Inspectorate; the right to cancel the agreement and to do not agree with the personal data management. In order to implement your rights of a data subject, it is mandatory to determine your identity. Without determining your identity, it will not be possible to make sure that we are contacted by the person, whose personal data are being managed, therefore it will be impossible to implement your rights. It may be refused to analyse your application on implementation of rights or a respective payment may be required, if the application is clearly unjustified or excessive, also in other cases laid down in the legislation. UAB Click2Sell shall not be held responsible for ensuring of privacy of the data subject and respect of personal data rules in websites of third parties even in cases, where webpages of third parties are accessed by the data subject using the links indicated in the present webpage. UAB Click2Sell recommends data subject to be introduced with the conditions of personal data management of a webpage that does not belong to UAB Click2Sell.